We have just announced the 2019 routes and this year you will be climbing one of the highest mountains ever in the Tour de France. You can explore the route below. 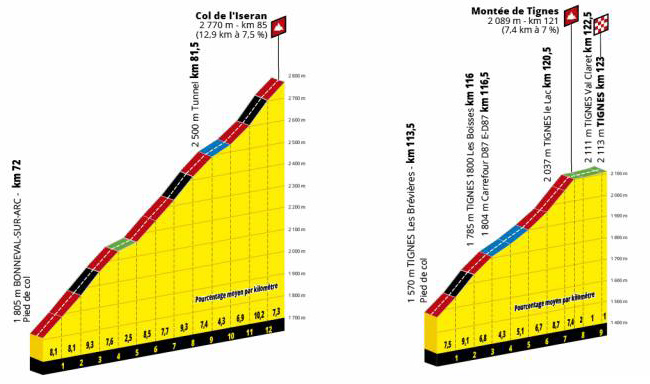 The first stage will be the first two mountains of stage 18 of the Tour. We spend the night in Briancon. 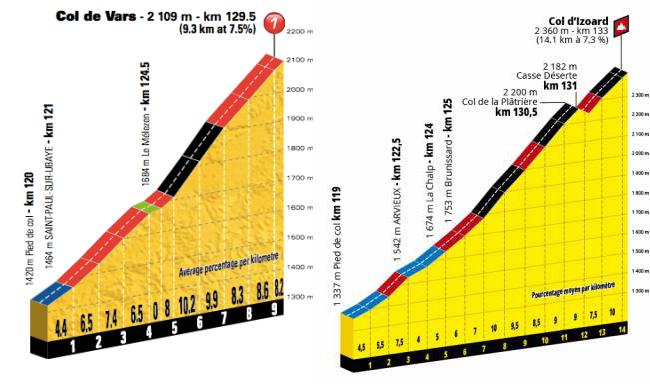 The 2nd stage will be the last two mountains of stage 18. We'll stay in the valley around Modane. The third stage will be 85% identical with stage 19 of the Tour. We will spend the night in Tignes. 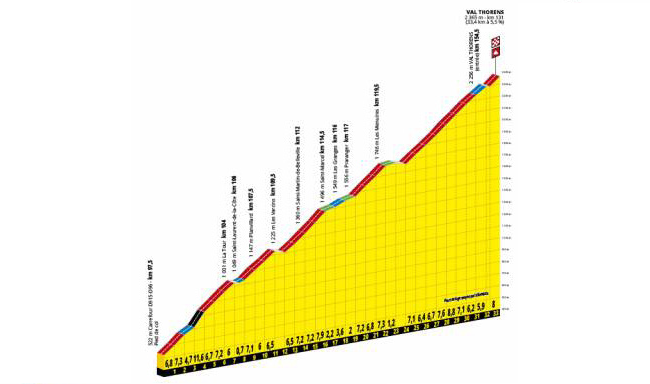 The last stage will be the finish of the crucial Tour stage 20 in the Alps. The finish will be on Val Thorens. We start Cykelnerven 2019 by riding half of stage 18 of the Tour de France 2019. We start out with Col de Vars, followed by a downhill ride through a beautiful part of the valley, and to the foot of Col d’Izoard. 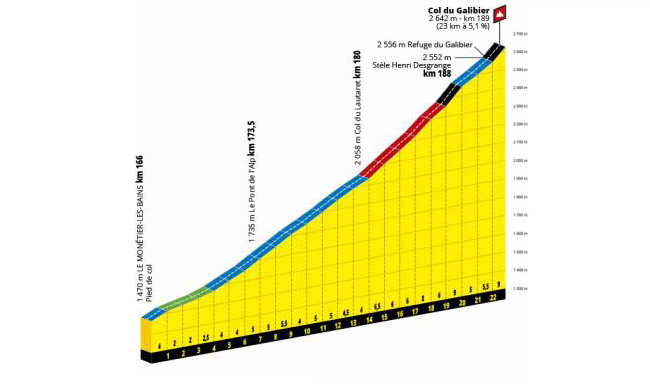 From here it is a challenging ride to the top, with a finish in Briancon (the full Tour de France stage finishes after Galibier in Valloire which will form day 2). From Briancon we ride to the top of Galibier. Galibier is often the highest point in the Tour de France but before we get this far, we will first pass Col du Lautaret. Here you can take a break before the days last climb, to the summit Galibier. From the summit, we ride down Telegraphe and will spend the night in the valley. 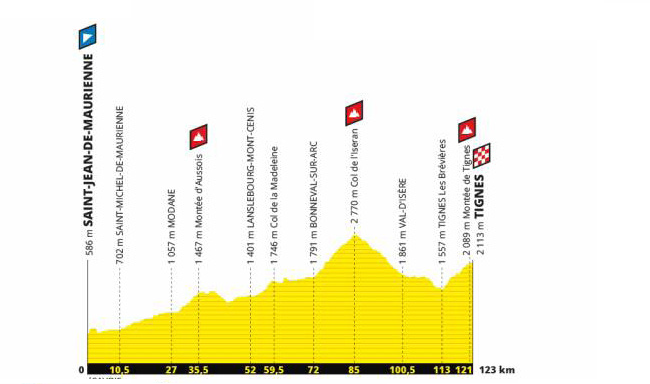 (This is the second half of stage 18 in the Tour de France). The start will most likely be near Modane. From here we will conquer the legendary mountain, Col de l’Iseran. It will be an amazing experience as it is the highest paved mountain in Europe. From the mountain top, we ride down and finish the stage on Montée de Tignes (At this point we have done 85% of stage 19 of the Tour de France). 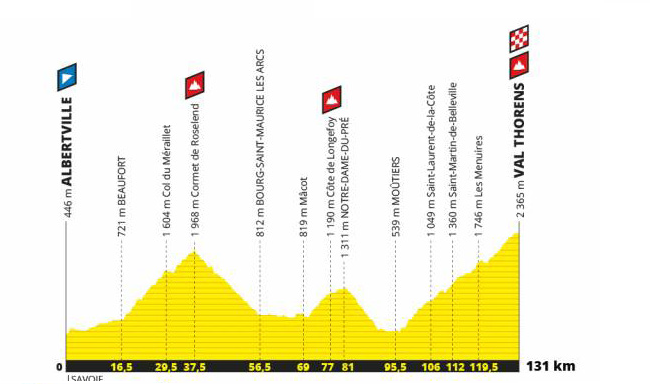 Today we are going to ride the final stage and it is not just the finish of Cykelnerven 2019, it is also the final for the Tour de France 2019 peloton (the Tour de France winner will most likely be known after this stage). This is also the last Tour de France mountain the ride to Paris. We start from Tignes with a downhill ride through the valley, and, if you still have the energy, you can choose ride Comet de Roseland. 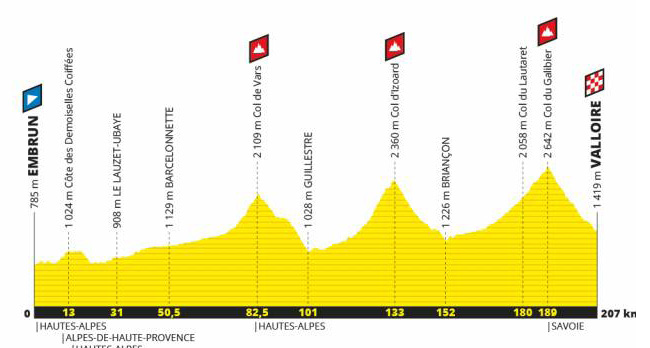 It is the first climb of stage 20 of the Tour de France 2019 (though from the opposite side). You can also choose to continue straight towards Van Thorens. To finish we will all ride on Val Thorens where we will have a night celebrating 4 fantastic days in the Alps.